When I ordered this perfume it was the bottle that caught my attention. But then i fell in love with the scent. Now I need more. I need you guys to restock please! I have been wearing Lady Gaga for 6 years, but it really got hard to find. When I saw this on Fragrance net I was so excited to order it, I received it. It's lovely it gets so many compliments every time I got out. Will definitely buy over and over. I love lady Gaga it has beautiful smell and long lasting. I've gotten a lot of compliments on this perfume. You can't go wrong on this perfume. 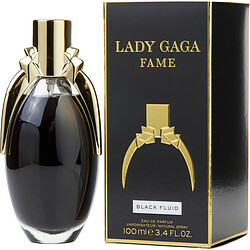 Lady Gaga Fame: Such a lovely scent, I wear it everyday, not overpowering and lasts all day!